The free to upgrade period to Windows 10 is almost at an end, and it is likely that many users who have not upgraded yet consider doing so. The reason is simple: the upgrade is free, and it is possible to go back in the first month should things turn out not to your liking. That's a pretty good incentive to try out the new operating system. There are other things that you may like about Windows 10, and I will reveal them in another article that I'll publish soon. This article on the other hand concentrates on reasons why you may not want to upgrade to Windows 10. Now, some may find these reasons insufficient while others that they are strong enough not to upgrade to Windows 10. I'd like to read what you have to say about them in the comment section below. Microsoft tries to make it as easy as possible to upgrade to Windows 10. You get notifications on Windows 7 and Windows 8.1 powered by the Get Windows 10 application for instance. Also, the upgrade downloads directly without you having to download an ISO image first, burn it to DVD or USB Flash drive, and start the installer manually afterwards. While that is the case, it still requires time and effort to install the operating system. If things go right, you may spend a couple of hours at the very least setting up Windows 10 after the upgrade. You need to learn to interact with new features, a new search, Cortana, Microsoft Edge instead of Internet Explorer, maybe the whole apps concept if you upgrade from Windows 7. 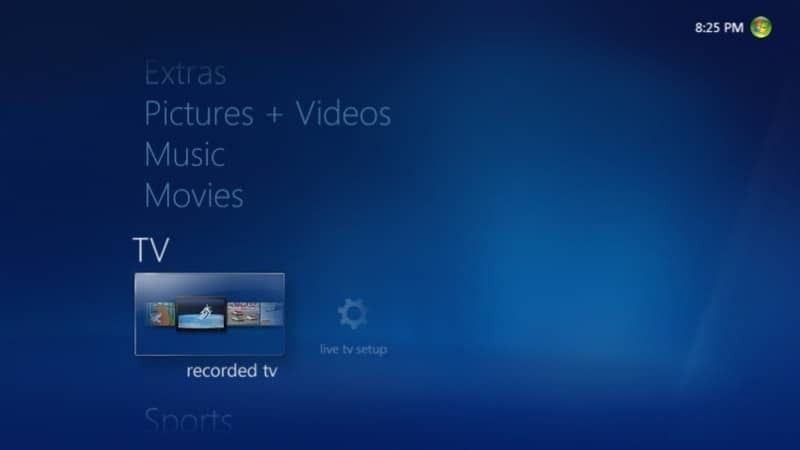 Also, some tools like Windows Media Center are not available anymore, so that you may need to look for alternatives. But what if things go wrong? You might want to create a full system backup previously that you can restore, but you will lose quite a bit of time in this case. Why bother if the current system runs well, and is configured the way you like it? Some new features, like DirectX 12 support may persuade you to give it a try despite the fact, but if you don't require those, there is little incentive to run the upgrade. The only thing valid is that you will end up with an operating system that is supported longer than your current one. Windows 7 is supported for the next five years though, and Windows 8.1 for the next eight. Software and hardware compatibility can block you from upgrading to Windows 10 even if you want to. The upgrade installer runs a compatibility check to give you some reassurance in this regard. It does not check all components and programs though. For instance, it won't check portable software as well as many peripherals. Generally, speaking, most software and hardware that runs on Windows 7 or Windows 8.1 should also run on Windows 10. The compatibility tool ensures that the core system will function properly after the upgrade. I recommend you check your favorite search engine to find out whether important software is compatible with Windows 10. Or, and that will surely add time to the whole upgrade process, use a virtual machine to run Windows 10 to see if hardware and software is compatible. Two things play a role here. First, Windows 10 ships with fewer update management options than previous versions of Windows. The two options displayed to you when it comes to updates are to install them automatically, or to notify to schedule a restart. While you can get some control back using the Group Policy, it is only available on select versions of Windows 10. Using the Group Policy, you may set Windows 10 up to notify you about updates and installs. More problematic than that is a change in how updates are delivered. Microsoft started to create update packs for Windows 10 that combine a variety of updates in a single installer. These cumulative updates introduce a truckload of changes to the system. The June 2016 cumulative update installs for instance ten security patches. If one of the patches breaks the system, you are left with no option but to uninstall the whole cumulative update to fix it. Windows 10 feels like an unfinished product in some regards. There is the new Settings app and the old Control panel for instance. You may notice menu and icon inconsistencies, notice that Microsoft Edge is too bare bones even for a bare bones browser, or that some of the apps that replace traditional desktop programs are not cutting it. Microsoft works on those things, and the Anniversary Update will fix some. Still, there is plenty to do even after the release of the Anniversary Update. Microsoft will get there, eventually, but some users may prefer to wait until the company does before they upgrade to Windows 10. Privacy may or may not be a big issue. What's clear is that Microsoft pushes telemetry gathering with Windows 10 a tad further than it did on previous versions of Windows. The custom installation dialog lists several pages of privacy related switches and settings for instance, but even if you disable all those, you have not plugged all telemetry leaks. In the best case, you are able to reduce the data that is collected by the operating system to a large degree. 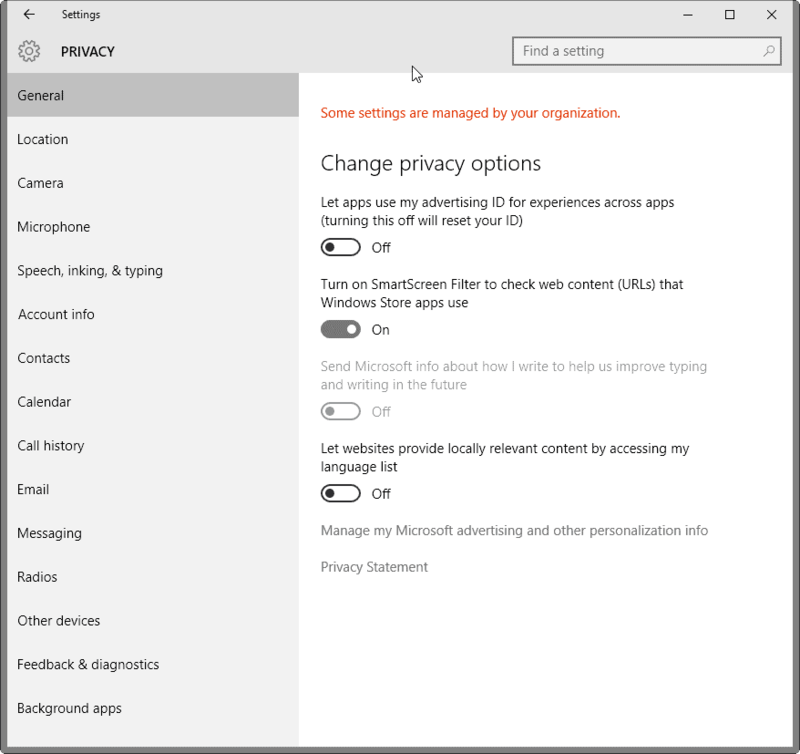 You may use Windows 10 privacy tools for that, of which there are plenty available. You may also get some ads, in the start menu, other menus or as notifications, but may turn off those in the options as well. Now You: Would you say those are valid reasons not to upgrade to Windows 10? Do you have others? 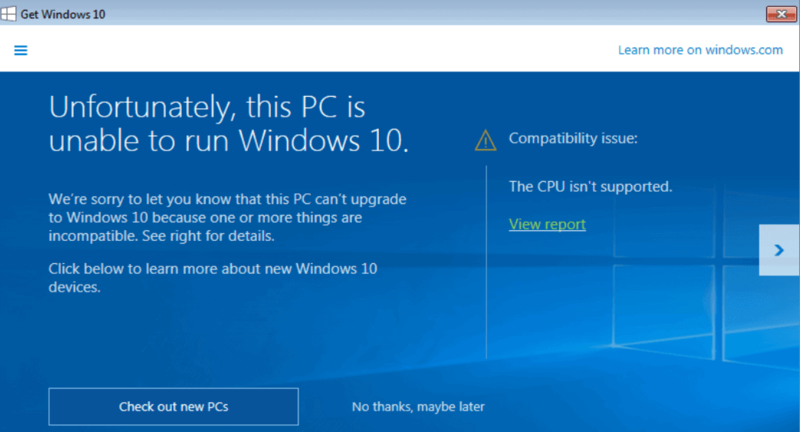 The article looks at the top five reasons not to upgrade a device running Windows 7 or Windows 8.1 to Microsoft's new Windows 10 operating system. You know the saying, if it ain’t broke don’t fix it. Some people may have a great working Windows 7 PC and don’t want to upgrade. 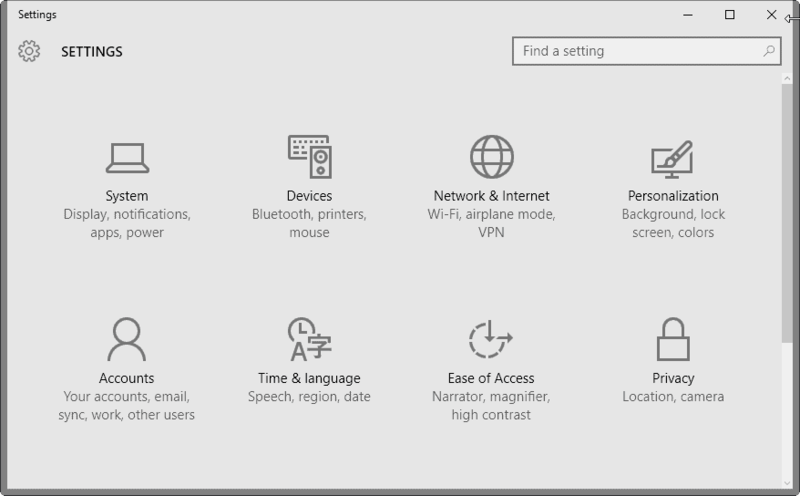 Microsoft still has not finished copying everything from the Control Panel to Settings. In some instances, they duplicate. Their is some older hardware/softwware that may not working with Windows 10, but works on Windows 7. Microsoft has remove some Windows 7 features from Windows 10, but you can get them back using Missing Features Installer. You might as well make #6 “Because”. It is a matter of pros outweigh the cons and you’re not supporting pros at all but only trying (and failing) to give ideas of why upgrading is bad when many of your reasons are weak opinions at best. Windows 7 mainstream End Of Life occurred before Windows 10 came out. Microsoft offered a free upgrade to basically give the user a more secure (and faster) system with updates against existing and future malware which is not going to be supported in previous (7,8) versions of Windows for much longer. The biggest and only reason is #2, Compatibility. If your machine and peripherals cannot run in a newer operating system then you should either consider not upgrading or consider new hardware. If you don’t need to, then don’t upgrade. Privacy is relative and people promote it as a selling point for many products without any reason to. You can be the most private person in the world, but once you log into Facebook and start giving away information about your life for free then YOU are the one who is to blame, not the OS, not the website, not “hackers”. Read my post below. about my install and uninstall of Win 10. There are no pros but there are a HELL of a lot of cons. – a protection against Malware. You need proper AV and anti-malware software. I do not use Facebook, Twitter or any other “social” sites. I do not have a Microsoft or a Google account. Why ?! Because I like my privacy ! I use Ublock Origin to stop ads. I use an excellent Firewall to stop “phone homes”. Not more secure? Granted, you are sending a lot of generic, unidentifiable telemetry to Microsoft, but that’s mostly for information on the OS to further help them support it. The other stuff is advertising related – which if you own any smartphone at all, you are already giving to either Google or Apple for the same reasons. It’s absolutely more secure – Not only have policies been put in place to further secure system files from being modified or tampered with, but Windows Defender(which, granted, is not a GREAT antivirus, but it is AN antivirus, which is better than what some people are using) is more integrated into the OS. Security updates are constant, and many get released to Windows 10 which will NOT be released to previous OS’s, because Windows 10 is the new primary focus of Microsoft. It IS faster, actually. If you compare a clean Windows 7 install to a clean Windows 10 install, the system uses less resources at idle. Windows defender DOES give a base level of protection for malware – it’s also further integrated into Edge than it ever was with Internet Explorer – Malware is attempted to be stopped earlier on, than the install process itself. I’m NOT a microsoft fan. I never have been, and never will be – I prefer linux in general. But as a logical, realistic human being, I can safely say the pros FAR outweigh the cons. Can you really assure me Flux that telemetry is properly anonymized and my data sent to MS machines makes me unidentifiable? I’d say raise the bar of expectations higher than that. Why should a user have to put up with ANY telemetry that can’t be turned off? No thanks. @Flux, What would be your independent evidence that it’s only unidentifiable data that’s being sent to Microsoft? For that matter what’s your evidence that the measurements and other data (that being the definition of telemetry) being sent is so Microsoft can further help support it? Re: The smartphone argument, it’s a fallacious one as the two devices are often used for very different purposes, my accountant doesn’t do my tax returns on his smartphone, my doctor doesn’t keep my medical records on a smartphone, neither does my lawyer and many other organisations that have to take privacy very seriously. “Security updates are constant, and many get released to Windows 10 which will NOT be released to previous OS’s, because Windows 10 is the new primary focus of Microsoft” – and hackers too. as Edward Snowden said once: “you are more secure using an outdated and with no support version of an OS than the most recent”. why he said that? just take a look at airfrace (I think): they use windows 3.1 on their computers and guess what? nobody ever could hijack those computers, by a simple reason: there is no features that allow you to hijack it… see, that’s the problem with new OS versions, more features, more things for hackers to exploit. while on windows 3.1 you have let’s imagine 100 things hackers can exploit, on windows 10 you have 1 million… so doing the maths, windows 3.1 is more secure. just because MS has it’s telemetry alwys sending things, I can always exploit that connection and take-over your PC using that connection, it’s always active, what would I want more? “It IS faster, actually. If you compare a clean Windows 7 install to a clean Windows 10 install, the system uses less resources at idle.” – now, using a computer with the same specs (or similar), install the same programs on each version. what is the fastest version now? Oh what a surprise: windows 7! you won’t have your windows 10 always clean, you will install even a browser or a music player and here is where windows 10 loses… or it’s powered by an ssd or you teak it, which the last one is not a good idea… and don’t be a fool to say it boots quicker, because, if you notice, windows fast boot is nothing else than an tweaked hibernation process, instead of saving your work, it deletes it and hibernates the computer. “I’m NOT a microsoft fan. I never have been, and never will be – I prefer linux in general. But as a logical, realistic human being, I can safely say the pros FAR outweigh the cons.” – I just countered your pros hahaha. it’s a question of knowledge. sometimes it seems all pros, no cons. that’s when I start to dig up the dirt and I find cons that actually contradict the pros. You can block data mining on Android. @Watch Out, Do you have any evidence for you claim that Windows 10 is more secure and faster? Excluding Microsoft’s hyperbole every independent test I’ve seen run on Windows 10 shows it’s less secure, for obvious reasons, and on par in terms of performance with Windows 7/8. If you really think Microsoft offered the free upgrade for altruistic reasons I’d say you’re very gullible or naive, and based on your comment about Facebook it seems you don’t understand the difference between a website that people can choose to avoid, and an operating system that they can’t. I use Windows Security Essentials in Windows 7 which is the “built in” Antimalware software from Microsoft. Microsoft chose not to not support this software with updates now that Windows 7 is two versions behind and is end of life. Upgrading to Windows 10 will allow me to have updates to the Windows Defender tool for many years to come. It doesn’t matter what the claims are that it is not “the best” antimalware tool out there, however the point is clear that I do now receive security updates that I did not on Windows 7. Faster: Yes, however this is anecdotal. I have an old gaming laptop that came with Windows Vista. I “downgraded” to XP and had a much better experience as far as speed and performance. The laptop has been shelved for years. I dusted it off and put Windows 10 on it and it is performing far better and worked out of the box with the older hardware. This of course does not compare 7/8 to 10 but I was very impressed that an XP/Vista older machine worked easily with Windows 10 and was faster. I have also upgraded both a 7 and 8 machine to 10 and they both are much faster at startup/shutdown and various other tasks. The problem is that everyone online has their own opinion on the subject and it doesn’t make them right. It’s no different than looking at reviews on Amazon or any other online store and reading the one-star reviews and seeing how many people had a really bad time with a product. Many people I see complaining about Windows 10 are doing it because of invasion of privacy or being forced to update when they do not want to. These are the most trivial issues one could have with an Operating System and it’s sad that they are making them “THE” reasons not to use it. You may wholeheartedly disagree with my cavalier stance that privacy shouldn’t be a main factor, but I would simply ask: What are you concerned about? I have already stated that many people give their secure information away for free to any website or app that asks, so we already know the main security risk to you is yourself. So what is the next big thing you are concerned about with your Operating System? Telemetry data? Are you walking around with your computer committing crimes? I would love to sit down and have a conversation with people who are concerned about their privacy to the point where they don’t trust anything. For some reason they are very loud on the internet, one place where they should be the quietest, yet I’ve never ever seen a compelling reason from the privacy crowd as to what they are afraid of. If you think I am naive then I would assume if you have a smart phone that you will not install a single application on it. If you are using linux, I would assume you check the source code of every single application you run/install. Otherwise you have no idea what you are talking about and what data you are giving away. @Watch Out, WSE & WD have nothing to do with the underlying security of the OS, so the answer would be no. And since when has anecdotal evidence been proof of something? Maybe next time you make a statement like more secure and faster you should be a little more circumspect otherwise you may find others will challenge your assertions and mistakenly accuse you purposefully trying to mislead people..
@Watch Out, And if you, or anyone, think Privacy doesn’t matter then i strongly suggest you watch this TED talk by Glenn Greenwald: Why privacy matters. *MY* Operating System is more secure with more up-to-date malware detection definitions. Since I rely on Microsoft to provide those definitions and they are not supporting some older versions of windows then, yes, I am more secure with Windows 10 in which they are still maintaining and updating. I appreciate you trying to twist my words, but you failed considerably. If you were trying to hint that software updates are what make the operating system more secure, you are correct. And since Windows 10 is the latest version, it will receive more updates to become more secure in the future than any previous version of Windows that will cease to receive updates. Thank you for not pointing that out but implying that it is the case, you are correct, Windows 10 is more secure than previous versions. I offered anecdotal evidence and even warned the reader that it was questionable since I had a good experience and others may differ. This time you did a great job of pointing out something I already pointed out, that my “story” may differ from others. I do not need to provide evidence that my 3 systems run faster, you’ll just have to take my word for it, but trust me.. MINE do run faster. Your mileage may vary. Frankly, I couldn’t care less how well your systems run. Many people load up tons of trash on their computers wrecking speeds in the name of security. I have uninstalled countless anti-virus software installs for people only for the operating system to magically run faster. Yet they somehow blame the operating system as being the problem. Maybe next time you use a five-dollar word like “circumspect” you should know the definition and understand that you completely used it the wrong way in your waste of a post. If you think me telling stories and prefacing it with this is just a personal anecdote is trying to mislead people then you must be watching way to much Fox News. You have contributed nothing to any of these conversations except drivel, word twisting and inaccurate information. @Watch Out, I’m not trying to twist your words at all, for some reason you seem to think Windows 10 is more secure because they are still maintaining and updating it but honestly that’s rubbish, Windows 7/8.1 is also still being maintained and updated, the only different is that Windows 10 is still in mainstream support so among other things receives feature updates unlike Windows 7/8.1 but all three versions still receive security related updates so the claim that Windows 10 is more secure because it also receives feature updates is tosh. If anything an OS that’s still receiving feature updates is less secure as any new feature has the potentially of introducing an new unknown attack vector. RE your anecdotal evidence: You only added that caveat later, initially you said “Microsoft offered a free upgrade to basically give the user a more secure (and faster) system” at no point in your orginal post did you mention that faster system was your’s in fact you said the opposite, you said “the user” so please stop trying to construct a strawman argument. RE my use of the word “circumspect”: Perhaps you’d like to point out why i used it incorrectly, although I’m not sure how you can do that as i was the one using the word, and i used it exactly as i intended, i used it to say you should be more watchful and discreet, more cautious, that you should think carefully next time before saying anything. You may claim that I’ve contributed nothing to any of these conversations except drivel, word twisting and inaccurate information but I’ve yet to see you produce any evidence to backup your spurious claims, well other than berating anyone who happens to disagree with you. Disagree. I won’t upgrade to Win10 for 1 main single reason, and it’s only touched upon in the last point listed by Martin. Privacy is not the only issue here. It’s Trust. Microsoft has been relentlessly violating people’s trust in the past year pushing an unwanted update, free or not does not matter. The operating system controls my PC. MY PC, not Microsoft’s. In the past year it has become clear that Microsoft disagrees on who actually should be in control of MY PC. It really is beyond me how some people continue to defend Microsoft’s actions and how some lazy people continue to be willing to put control of their system in the hands of such a company. The new business model of MS is now Windows as a Service: swallow whatever they shove down your throat. So what happens if that breaks your production system? MS certainly does not care. And collecting your private data is now part of the deal, since there’s lots of money in that too. Ads on your operating system?? Really? You go for that? Are you f*cking insane? It’s YOUR system, now you allow ads on there just so you can use it?!? I started the move from Windows 7 to Linux 6 months ago. I gather it takes a lot of study and effort to switch over, but looking at Windows 10 and reading about all the issues, it would have taken just as much effort to move to Windows 10. At least my investment is now safe, god nows what Microsoft has in store next. Or do you really trust MS to actually fix what they broke? Started on C64, moved to Amiga OS and went through every MS OS since Windows 95. Never thought I’d have to switch to Unix, but there you have it. Trust indeed. I went from MSDos to Windows and have seen every improvement/fail since. There are sound reasons many people stick to 7, even XP, and those reasons wont be ‘talked away’ by marketeers and wordsmiths. Microsoft went from ‘can probably be trusted’ to ‘adware-malware-bloatware distributer’ in a single year. It will take Microsoft many years -if ever- to rebuild that trust. 7 will be my last Windows until a better version. If not, bye MS.
Spot on, Pas. Win 7 till 2020, then Linux. Bye MS, was a fun ride till you turned a bunch of exploitative assholes. @Shiro, Thank you for speaking my mind for me. Interestingly, today Brad Chacos at PCWorld published a very similar article: “10 reasons why you shouldn’t upgrade to Windows 10” (www.pcworld.com/article/3092365/windows/10-reasons-why-you-shouldnt-upgrade-to-windows-10.html). The main reason he arrived at 10 points is he breaks up things a little differently, but his main line is similar. He also lists a couple of items that may not be important to most users, though. ++ Windows 10 implements many new default settings that are actually not in the interest of individual users. Consequently, installing Windows 10 means you have to be savvy enough to check and change several such settings, taking quite some extra time to re-tune the entire system in accordance to reasonable needs. A good example of just one of these not-to-be-preferred and must-be-changed Windows 10 settings, is how Windows Update can by default consume your upload bandwidth by serving updates to other “nearby” people from your own computer. In my own case, several of these reasons (like the privacy issues, or the dumping of Media Center) would each by themselves already be enough to not upgrade to Windows 10. Taken together, in my case most of these reasons are simply prohibitive and make the word “upgrade” feel out of place. I will never burden any of my computers with Windows 10. Regarding #10… it is broke.. What is broken is windows 7/8 isn’t bringing any new money in to Microsoft. So to fix this you must get windows 10 so that Microsoft can sell your telemetry data and sell ads pushed on to you oh and some of you will get to pay ~$119 for that privilege to fix Microsoft’s continued growth. oh wait we’re customers, not Microsoft so I guess you’re right. I disagree. Windows 10 is fine for non-touchscreens, and this is because I run a triple monitor setup with using a trackball mouse. It is also by far much better than Windows 8 was. I guess I must be in your 10% category on three laptops. All have touch, so I must be unique eh? Aren’t people going to have to upgrade to stay current down the road ? Down the road, yes, but usually by then people will have purchased a new computer w/ the new OS. Some of my friends and family have chosen to stay current … with Linux or Mac. So that’s one option. But also, it’s pretty obvious which direction Windows is headed. At some point Windows will become free-to-install for everyone without time restrictions. (Microsoft is already doing this with other premium software. The Windows 10 giveaway was just one of many steps in that direction). I imagine that Windows 10’s successor (let’s call it “Windows 11”) will be distributed on that free-to-install model. THAT’S THE WHOLE POINT OF ALL THE NEW TELEMETRY: it allows Microsoft to create a new revenue stream that will eventually replace the old pay-for-Windows stream. So I doubt July 2016 will be the last time you will be able to get a new Windows OS without paying. If the July deadline is the only thing motivating someone to upgrade to Windows 10, I’d say stick with whatever you have now. Windows isn’t the only operating system in the world ya know. Thank you for this blog, Martin. I decided to find out what Win 10 was really like. I cloned my current HDD. I removed the drive from my Laptop and replaced it with the clone drive. I installed Win 10 on the clone and booted the Laptop. I used your blog “Turn off Windows 10 Features” to disable them and then began to “learn” Win 10. I re-installed four apps which had been removed as “incompatible”. These were: Tweaking Windows Repair, SuMO, CCleaner and Defraggler. After trying to get to grips with the Win 10 start menu, I ran Classic Shell and Classic Start Menu which made things easier. I used Cyberfox browser to get Internet access. The whole time I was browsing, Emsisoft Safe Browsing kept popping up warnings about attempted “phone homes” to Vortex, Watson, and MSN. All together, there were 47 DIFFERENT “phone home” attempts to different MS sites. The “anti-update” settings in my Registry worked because Win 10 tried and failed to install 5 “security” updates. With Win 7, my Laptop takes 40 seconds to boot. Win 10 took four minutes !!! NB these are actual measured times. After several hours of using Win 10, during which I had 2 BSODs (this has never happened with Win 7) and had to reboot, I uninstalled Win 10. Before I did, I made sure that I had the Digital Entitlement to install Win 10 for free in the future ( in about 5 years !) and recorded the Product ID and Product Key. All in all, it was a frustrating experience because Win 10 is an unfinished, bug ridden OS (BSODs !!) and, until it is patched and working correctly, I do NOT want it on my Laptop. I await with pleasure the comments from the Win 10ers about how wonderful, how fast, etc, etc, Win 10 is. My response? Win 10 is CRAP and I know because i have installed it, tried it, and uninstalled it ! PS Sorry about the length of the my comment BUT it could have been five times longer. Digital Entitlement!??! I have not heard of this until now. Sounds like a Hot idea for an article eh Martin? Martin, I hope that you will not mind me posting this link to “How To Geek”. It seems your hardware doesn’t have very good Windows 10 support, BSOD are almost always due to failing hardware or poor drivers. You should probably consult your system logs for verification. I also had a similar experience on my previous system, my issues were due to bad chipset drivers. As my system was about 5 years old I decided to upgrade anyway, had no issues since. Of the many things I dislike about Windows 10, performance or stability aren’t among them, I get to the login screen in 8 seconds on my not particularly impressive system. Speak for yourself, the constant BSOD’s and the DPC latency issues on windows 10 are not an isolated incident, it’s a widespread issue that Microsoft is unable to fix one year since Win 10 was released. Never had a single BSOD or the horrible High DPC latency i see on Win 10, on the Windows 7 which i previously had, never! Just search “High DPC latency Windows 10” and read all the horror stories from people like myself who are unable to solve this problem. Windows 10 is still in Beta phase and that shows! Intel i7, 16 GB memory, 18 months old. Up to date drivers. No BSODs with Win 7. Is the above spec good enough for Win 10??!! No WER (Windows Error Reports if you do not know what WER is) logs. It is not the Laptop at fault, it is the Beta Win 10 which MS has still not fixed. Your comment is typical of those spewed out by MS support when (IF !) you contact them. Don’t blame Wonderful Win 10. Blame the user, the hardware, the 3rd party apps, the day of the month, the Moon phase. MS and Win 10 are perfect. My ar*e they are ! I could not agree more with you. I left my lap top on for about half an hour, and when I got back to it I found it had already started downloading window 10 without my knowledge or approval, isn’t that a breach of privacy?? ( I had windows 8 OS that came with the laptop when I bought it,) as it said “do not switch off your PC” I had to lump it, and ingest win.10 by force! as I was scared to lose all my personal stuff and programs. so I tried Win.10, what a disappointment to say the least! a real BIG hip of CRAP! I started with Commodore 64, all the way up to Windows 7, and three years ago I could not buy a PC with wind.7 any more, so I had to get win.8.not better than 7, but I could put up with it. But now win.10! I found it unbearable, the biggest annoying problem was the impossibility to use the CD drive, I wasted three days trying to get some program to re-activate it, all in vain, I tried to get back to W.8 but I could get only W.8.1, now I’ve managed to get a copy of W.7 home basic. I will format the HD & install W.7, and I can assure you and “MICROSOFT” my next PC.will be an APPLE or anything else, but a Microsoft Windows. Just a question please, can I possibly download any other OS on a HP pavilion g 6.? Thanks. And Control Panel (actual Control Panel) is barren. Can we have an article on how to put all the old icons back there? While I won’t be switching to Windows 10 any time soon, I do plan to switch to Windows 8.1 at some point and it has the same issue. Even if you do not like windows 10, Upgrade! Go back to 7 or 8 afterwards. It puts value to your pc because of the activation with digital rights. So in future, if your pc survives the time, installing and activating win 10 should be possible (think of reselling). Still there are problems with some pc’s, like driver update, but mainly all pc’s with windows 7 or 8 will run on win 10. And if you are tired of any of microsoft’s OS, a Linux distribution can be the better choice. You can activate Win10 without needing to install Win10 by booting from a USB drive. So, i actually wanted to upgrade and made my preparations (making a backup of partition etc) and i upgraded to win10 couple of days ago. And I really liked it because I was bored of windows 7 to be honest. But then I realized I had a big problem. You see, I’m living in a rural area atm and I don’t have a fixed connection, because of that I’m using my old nokia (Symbian) phone to establish an internet connection. And when I upgraded to Windows10, I realized I was not able to use my phone because the drivers were not loading under Windows 10. Which is frustrating because Nokia phones division was bought by Microsoft. They should’ve updated their driver for the new operating system. Because of that I was unable to connect to internet and activate my windows, download further patches etc. Since the introduction of Vista, Microsoft has been in a trend for not caring about compatibility issues and/or making poor design choices. Forexample I didn’t know what the hell was going on while I was upgrading to Windows 10. How was the installation progress doing? Did the machine crash? How much time was remainig to completion ? I didn’t have a clue because I was only seeing a circle of dots turning. Anyway I decided to roll back to my previous version of windows 7, since I didn’t want to be bothered by some custom driver solutions for phone drivers on Windows 10. So these lame articles on 10 Bashing are a joke ! I KNEW there would be a generalised “WHOOPEE FOR WIN 10” response from a dedicated MS Fan (shill?). You should REALLY read my posts. I installed Win10 (as detailed in my posts). It is BETA rubbish. Privacy IS a big issure in W10; we’re getting “free” upgrade in price of our data and data we generate by using that product. And I also wonder why this isn’t number 1 on your list. A sudden change of heart? What Yuliya said, some people seem to get rather annoyed if you contradict their world view. I have multiple keys of 7 and 8 so I decided to “sacrifice” an 8 pro key to have 10 as well, just in case. In two hours 10 gave me two BSoDs. With a frowny face on them. My PC is dying and you put smiley faces on it, Micro$oft?? Ughh.. This happened like a couple of weeks ago, horrible experience. Even on 8 – I used that annoying thing for like a week and was perfectly stable. It’s unbelievable, Micro$oft’s “best ever made” OS crashed a PC in two hours, something that 7 has not managed to do in three or so years. And this PC stays up non stop since I’m also using it to watch TV as well (as secondary monitor). Ah well, now I’m back to 7, and the current up time is of about 5 days and 15 hours, with the occasional sleep time after the movie that I watch while I fall asleep ends. I think I gave 10 more than enough chances, about four – one after each big release, LTSB and the most recent version as of June 20-something – and it always failed to deliver the reliability and the usability that a desktop OS must be capable to provide. Too many compromises. Had 4 BSODs myself (never seen one in 7 and had honestly forgot they existed) and for those that usually scream “ur machine must be teh old!”…afraid not, FX-8320E octocore with 16Gb of RAM, R9 280, SSD for boot and 5Tb of storage space. The whole system is less than a year old and runs flawlessly in Windows 7…but then again Win 7 is not a beta OS filled with adware. Being a curious person, I installed Windows 10, as an Insider, onto a spare laptop. It’s been an interesting venture. Okay, not really interesting, more frustrating and cuss worthy, to be honest. Take the latest attempts to update from an earlier build to 14372. It’s been five days of one problem after another. The first attempt failed because of a basic incompatibility between the SD card driver and WinTen that led to BSODs. Second attempt to get it to install failed because the Update routine cannot prioritize new updates with older ones. Also resulted in corruption of WSUS that two runs through of the troubleshooter were required to fix. Third attempt failed after spending time (and two BSODs) getting the RealTEK SD driver to install. (FYI, disable and uninstalled from Device Manager before installing latest RealTEK version). Fourth attempt failed because Update was corrupted by earlier fixes and by new NVidia Drivers plus it was trying to install build 14366 and build 14372 at the same time. I used the MS’ Windows Update Show & Hide program to hide build 14366 and all driver updates (only about 16 of ’em), and it finally worked. The fifth attempt succeeded after only taking nearly five hours. Now all I have to do is clean up the extra copies of the drivers in driver store (all NVidia drivers are there multiple times) and the prior installation, and reinstall all of the programs that didn’t make the upgrade, which includes several Microsoft addons. Oh, and there was a crash of explorer after it got to the desktop when I right clicked on the desktop. And the nightmare will continue with new builds and the August 2nd update for another computer. That I’m certain of. These are the type of posts people need to read. One bad experience and your opinion of a product that is used by millions has got to be garbage. This is a vary narrow view of the world. If I had to guess you are the type of person who only gives one-star reviews of products that you cannot get to work correctly and do not praise the rest of the time when things work as they should. You are free to your opinion but to spin your hate for your bad luck or incompetence onto others is a travesty. The whole ‘privacy’ thing has been well and truly debunked by Ed Bott as nothing but FUD. Unlike most Bloggers, he has actually done his homework on the matter. Quite frankly, unless there’s a compatibility issues, most people who don’t upgrade will have to one day. I’m sure some people wouldn’t give up their Horse and Cart transport because they didn’t trust Cars either. Eventually you have to wake up and move with the times. Oh, give me a break, Jonathan. I’ve read his debunking. A lot of fluff, and then somewhere toward the bottom he ads a line that “of course” we must accept targeted ads in our modern world. You can almost hear him saying “Like, duh” under his breath. But he is wrong, of course: there is no rational reason why we “must” accept targeted ads. I also don’t see him debunking the dozens of call-home processes in Windows 10, some of which cannot be turned off, and some of which are reset to the default “spy on me” setting when Windows 10 updates itself. Nor has he debunked the Snowden / NSA / Prism scandal – and frankly, those revelations changed everything. Sorry, but in the face of everything we know today about how the US government works, and also how Microsoft works (e.g. surreptitiously downloading 6GB installation files to people’s computers), there is no reason to believe that Windows 10 is good for privacy. Read posts in previous blogs by Corky, Pants, Tom Hawack, el al. Mr. Bott does NOT do his homework. His articles are generalised with NO hard facts, except those fed to him by the MS promotions team “factoid” spinners. Most of his articles are, most of the time, direct attacks on on other MS commentators who do not buy into his adulation of the great Redmond Behemoth. “I’m sure some people wouldn’t give up their Horse and Cart transport because they didn’t trust Cars”. The only people who use horses and carts are people who can’t afford cars. “Eventually you have to wake up and move with the times”. Why do we have to accept an under developed Beta OS just because people like you, Ed Bott and MS say so. Maybe, in about 5 years, if Win 10 is a fully developed OS and is not monetized perhaps it will be fully accepted. Until then, carry on living in cloud cuckoo land re privacy and believe as gospel that “The whole privacy thing has been well and truly debunked by Ed Bott as nothing but FUD”. I agree with you, TJ. I’ve read Ed Bott’s articles and they are unconvincing fanboy stuff. He does not really address the fact that Windows 10 has dozens of call-home processes – some of which cannot be turned off easily or which respawn secretly after an update. He also doesn’t seem to think it’s relevant that Microsoft was directly involved in the PRISM scandal, or that Microsoft has already abused its power by secretly downloading massive Windows 10 installation files onto people’s computers without their knowledge. Oh, really? So how can I completely disable telemetry in Windows 10? @Jonathan, Ed Bott is probably the worst example you could have chosen, like most of the staff at ZDnet he’s nothing more than a Microsoft mouth piece, his evidence and so called independent homework and tests are nothing of the sorts, he quotes directly from Microsoft’s own documentation and attempts to pass his opinions off as facts. If you don’t agree that his methods and investigations are technically flawed however then take a look at his links to Microsoft and how he benefits from promoting them, and their success. I can’t stop laughing! Ed Bott??? I had so forgotten that name many, many years ago since people giving paid endorsements have no merit in my opinion. I myself don’t mind if you like Windows 10 that’s great but I don’t understand your anger over the fact that I rate Windows 10 in the same class as Windows Me, Windows Vista, Microsoft Bob or that useless paper clip thing. According to your way of thinking I’m surprised I’m still alive and the world hasn’t ended having skipped all those examples of Microsoft goodness. A good OS is one that is at least acceptable to most people, Windows 10 is totally unacceptable to many people. Businesses aren’t rushing to switch and MS isn’t forcing it down corporate throats since they aren’t as tame as the sheeple. I really find the ‘you use Facebook/Google/Twitter/whatever’ argument hilarious. What these people seem to forget is, Windows 10 is an Operating System and as such has access to everything on your PC/tablet/phone and possibly your network, 24/7. Then there’s the prospect of subscriptions and although MS say, for now anyway, these are for Enterprise customers only, they’ve been proven to be untrustworthy time and time again. I wouldn’t be at all surprised to see, at some future date, something like ‘premium’ (read – content necessary to make Windows anything but useless) content that is only available to subscribers. Android is an OS… made by Google. iOS is an OS… made by Apple. Both these OSs, with literally billions of users worldwide, have been employing more or less the same kind of telemetry as in Windows 10 for years, still are. You’re quite right. I don’t personally use either type of device and sometimes forget they’re probably just as bad as Windows10. Still, I guess with Android, one could always use CyanogenMod without a Google account/apps. I used to do this but now I simply don’t have need of a telephone. I can’t seem to find even one reason in favor of Windows 10. I have installed W10 for three times on my netbook, one month after the W10 official release as upgrade, clean installation and again some weeks ago and always back to Win7. I spent one day for optimize W10 (graphic, services and privacy) but remain heavy and more slow than W7, in addition the graphical interface is ridiculous, there are big icon together to microscope ones. You can disable the regular Windows updates in 10, but you can’t disable drivers downloading and installing automatically. Windows 7 lets you disable DWM (“Aero”), which helps A LOT in certain applications. Windows 8 and 10 don’t let you do that. @GaryD Everybody who doesn’t share your experience is a shill? – okay. Here’s your comment in reverse: People who lack technical ability have always blamed Microsoft since the dawn of time. How’d you like them apples? – Childish isn’t it? Field Service Engineer on Mini Computers with Hewlett Packard. Technical Support Manager for a large Computer Rental Company, supporting everything from DEC PDP 11 to Hewlett Packard plotters and printers. European Technical Support Manager for Novell NetWare, which included giving Training Seminars on Network hardware and software. So, “Duckeenie”, what technical experience do YOU have. Flexing your resume muscles only makes you look less competent Gary D. You of all people here should know that the Operating System is not to blame for “blue screens of death”. You of all people should know that the hardware is a major contributor to issues with an operating system (bad/incompatible drivers). However you are the loudest one promoting that Microsoft is terrible. You of all people should be using a Macintosh that keeps very tight restrictions on hardware and software/drivers so that “it just works”. You hate Microsoft so much yet continue to use and upgrade it for your personal use. You are the epitome of people who value privacy among all other things (basically because you said “I like my privacy”) yet have provided zero reason for actually needing to be private or what you are protecting. You are someone that nobody can hold a conversation with because it is one sided. You will never listen to another side. The world is out to get you. @Watch Out, If you don’t understand why privacy matters then you either need a history lesson or you’ve failed to grasp the fundamental reason why people are rightly concerned. Apologies to Ghacks readers for such a long post but it’s important (IMO) that people understand what a corrosive effect privacy deniers can have. You may have some level of passion about privacy but it sure did not show in your reply. In fact, I don’t even believe you fully understand what you quoted. The quotes you took are blending at least three types of privacy into a big mixing pot as if they were all exactly the same and that we should all be fearing the same thing when it is simply not true. The quotes also assume everyone wants privacy when in fact it is sometimes forced on us. You may scoff at that notion but the quote does say that people put passwords on email and social media accounts and locks on their doors. I don’t recall seeing an option to NOT have a password on my accounts. When they built my house I didn’t have an option to leave the locks off the doors. Like I said, you may think that statement is ridiculous, but it’s no more ridiculous than your misleading quotes. Not everyone wants privacy in every single fashion that is available. Now, sadly, there is a need for certain types of privacy like locks on certain doors or two-factor authentication. This is to avoid criminal activity against damage or loss to your property. Another type of lock prevents someone from interrupting you during intimate moments either in the bathroom or with a loved one. The place where you may be confused is the privacy that you want that others may not care about. Are you a nudist? If I have to explain that question then you will never understand any other point of view. Passwords on email. That is to keep people from reading your email right? Or could it be that it used to identify the user of the email/account? You should probably consider what a password is before you think that it is only used for privacy. Real privacy in email (and online activity) is to obfuscate (encrypt) and hide your location/identity as best as possible. Do you have a need to do that? Is that not somewhat extreme for 99.9% of the daily activity of law abiding citizens? Video Cameras! Now that is something you cannot avoid in many places. Public places that is, so are you worried about things that you are doing in public places? If they are public places then shouldn’t you not be engaged in activities that are questionable and could get you in trouble if there were simply eye-witnesses? The fact that people’s behavior changes when there are cameras around is not a one-way path. Some people are more law-abiding while others are just the opposite. So what fact are you trying to prove by quoting something that is an incorrect opinion? I’ve talked with many people who actually drive more recklessly when they know there are red-light cameras at an intersection, driving faster to beat that red light instead of slowing to stop on a yellow, actually following the laws. I relish talking to people with different view points, yet the people who tend to be the most “incorrect” in their opinion are the ones who think everyone else is wrong. Since you did not provide your own opinion I would love to hear it. Just remember that I am not advocating privacy as unnecessary. Unlike Glenn Greenwald, I recognize there are many different types of privacy, some necessary, some trivial and some that are not universally desired. > You of all people here should know that the Operating System is not to blame for “blue screens of death”. Oh, really? Having some time working with Windows 8 betas or looking at people trying to get I strongly disagree. More to it, what I see here in comments reminds me very much how bad Windows 8 was. Р.S. Power user for many years, QA Specialist, with 2.5 years of experience when I run into Windows 8. No one I saw working with Windows 8 betas wanted to work with it any more, and in the next big company I worked in no one also wanted Windows 8 — everyone preferred 7. @Watch Out, Do you even know what you’re talking about? You claim that someone, who you don’t know, has provided zero reason for actually wanting to keep things private and then go on to ask what they’re protecting, but when someone points out that you don’t have to have something to hide you go off on some incoherent rant about how there’s different types of privacy when the level or type of privacy someone wants should be their choice not yours or Microsoft’s. That’s what all this boils down to, it’s not yours or Micosoft’s right to tell people what level of privacy is right for them, it’s not down to you or Micosoft to tell or ask people to provide a reason for wanting to keep something private, and for someone that relishes talking to people with different view points you seem to have great difficulty in accepting those differing points of view. Whatever you think of telemetry, how much is needed to improve the system? Bandwidth. It seems to be a rolling distribution, for ever? Driver and update hell? My Win 7 is completely locked down, hidden kbs, disable os upgrade, (Thanks for that article, Martin), no ceip, gwx control monitor, etc., yet after last update my firewall notified me of telemetry phone homes, (new processes). Installed Spybot Anti Beacon, and blocked outgoing telemetry processes. How much telemetry is needed to improve Win 7? Patch Tuesday has been getting traumatic, I would be afraid of updates on Win 10. On Linux a matter of a minute or three usually to update, while you do other things. and then expect the OS to not give you a BSOD?! And you install Classic Shell and Classic Start, and then complain about startup time? Stop commenting, grow up and stop giving us in the anti-Window$ community a bad rap. Win 8 gives the sad face on BSOD, too. Do your research. Point was that Windows 10 turned a perfectly stable PC into a completely unreliable one. The fact that it had a smiley face in the two blue screens which W10 gave me from 20:00 to 22:00 just added salt to the injury. I am aware of how a BSoD looks like on Windows 8 as well. I don’t know if attacking me like this made you feel any better. The way a blue screen looks like wasn’t the point of my comment. Sorry !!! Should I have done a clean install instead of leaving all my apps in place.? Funny that when I rolled back to Win 7, I didn’t get any BSODs. “stop giving us in the anti-Window$ community a bad rap” . You are already doing it with your first post in this forum. @ Gary D: Excellent post. Thanks for sharing the results of your research. With regard to BSOD, This is a part of my reply to Duckeeine. “Intel i7, 16 GB memory, 18 months old. Up to date drivers. No BSODs with Win 7. Is the above spec good enough for Win 10??!! No WER (Windows Error Reports if you do not know what WER is) logs in Win 7. + 1 more reason: “2 service pack rule”. That’s what I learned in 1990s, since Windows 9x era: you DON’T want to use new OS from MS until 2 service packs are out. Those who remember Win 95, 98 and NT4 and 2000 and XP may know/remember what I’m talking about: only SP2 was making that OSes really stable. It was even worse with ME, Vista, 8 and 8.1 , which by “word of mouth” fallen in “stay away” category. Well, to trick us MS promises not to issue service packs anymore, but we still remember, and 2 service packs now may be substituted by 3 years. Unfortunately, there is still nothing in my experience since 1990s what might make me think that the rule is obsolete. + 1 more reason: You don’t like where MS went since Windows 8 and you don’t need that, so you think that you better stay away from that for as long as you can. All that Metro design, apps, MS Windows store — I don’t need that and I believe that the world would be better without that. Failure of Windows Phone OS and Windows RT tablets to capture any substantial market share points that I’m not the only one doing better without them than with them. + 1 more reason: You run into MS Windows 8 earlier, and your experience was absolutely negative. What you read about Windows 10 now reminds you of Windows 8 and adds even more desire to stay away from Win 10. Also you never see Windows 8 working faster/better and you just hate thought that you may look on 8-style progress blinking again. … or you may call me just too old for all that new Windows tricks ;-) I like what I have with Windows 7, and I want just to continue to have it working. Your comments regarding some of the psychological effects of surveillence (either surveillance known or surveillance suspected) are profoundly important. To date, I see no responses to that aspect of your post. Are the psychological consequences of using Win 10, an OS which clearly implements surveillance, somehow out of bounds? If so, why? Rather than try to deflect conspiracy theorists, may I simply suggest a non-Google, non-Microsoft based search for the many, many professional studies on the effect of surveillance on both individuals and populations? This information is available. Judge for yourselves. Thank you. I agree with your point of view entirely. There appears to be a couple of regulars here whose so-called expertise is often belied by their comments. Remember that windows 10 is designed for people like you. It will never cause the average joe problems that is the main goal. People jump on it and upgrade since it is ” FREE* ” and it works for them using them as the product. For the rest minority of people that actually need stable and private OS and push it over and over again for things you wont care about – 10 is disaster. I agree that MS went way overboard with its incessant and forceful upgrade tactics, no doubt about that. However, on what are you basing your comment that Windows 10 is a disaster? It’s actually a very good operating system. Historically, there have generally been teething problems with the release of each new OS. Remember when XP first came out? I do and it was really unstable, regularly BSoDing. I think I spent the initial 12 months or so with XP searching online how to fix this and that. Of course, a decade and 3 service packs later and XP had developed into a very reliable OS. I guess the point is that eventually, as the older Windows OSs reach end-of-support, everyone will have to run Windows 10. So, there are really only two logical options; upgrade now for free or move on to Linux or Mac. One of the biggest reasons for me is the loss of skeuomorphism in the UI since Windows 7 (and the same problem with MS Office since 2010). Everything’s flat, low contrast and with no indication of where UI elements begin and end, or even what type each UI element is. All I want is a classic mode just like Windows 7, which is clear and unambiguous, but that’s apparently to too much to ask. Also the way they’ve progressively made settings more difficult to find since Windows 2000. Windows 7’s already bad enough in that respect. Okay, to start off with, here’s my experience with Win 10. I used to have a passable knowledge with computers back in the day (I started off in 1982 with the original Commodore 64, in 1983 on the original Apple IIe, and in 1984 with the original Apple Macintosh (all were either birthday of Christmas presents, or used in school), and later on when I was of working age, I worked with various other Apples, and other really old Win’s, but had never owned a Windows computer myself , I only bought it because Apples were out of my price range, so I had Win 95, Win XP, Win Vista, Win ME, and Win 7) but due to strokes and various others issues, I’ve lost most of my knowledge, unfortunately. So please bear with me. I have a 2009 Asus laptop with Win 7 Home Premium pre-installed (my husband has the exact same one, we bought them at the same time). I became very familiar with Win 7, and loved it. and back in March (unfortunately without doing much research on Win 10, so yes, part of this is my fault) I figured, “WTH, I’ll take advantage of the free upgrade!” Again, due to cognitive impairments and lack of research, I didn’t think to do a back-up of my files (DUH! I always did this before! ), so yes, that’s my problem,not Win 10’s. I also didn’t think much about my laptop being incompatible with Win 10, as when I installed Win 10, Win 10 said there were no problems. Again, I should have researched that myself, as my laptop is so old, but I didn’t think about it, so that’s my fault, not Win 10’s. After installing it, my condition became worse and so I was not able to play around with Win 10 a lot. I mainly just used my laptop occasionally to go online when I was having problems with my phone. Then after that, I decided that I didn’t like Win 10 at all, but unfortunately my condition worsened suddenly and I had to be admitted in to the hospital for several weeks, so I unfortunately missed the Win 10 roll-back period. After I got out of the hospital, I was still very sick, and when I was finally well enough to be able to use my laptop, I found that Win 10 had deleted many of my documents (I use Open Office as I am on a budget), and had encrypted and/or corrupted some of my scanned documents, and had deleted and/or corrupted a lot of my scanned photos, and the documents and photos had also been re-sized and/or jumbled. This was particularly upsetting to me, as many of the documents and photos that were lost/ruined were from my genealogical research from lots of boxes that my parents had, or documents and photos that fellow genealogical researchers had sent to me via e-mail attachments. These included documents and photos that went back to the early 1800’s and continued through to the present. They had been scanned by my husband and myself before we left the US to live abroad we scanned as much as we could, in the limited time space that we had (we weren’t able to scan everything, I had no idea that my parents had such a large and extensive collection, as they had never told me, I only found out when I started to become interested in my family genealogy and wanted to add things to Ancestry), as I knew that if anything happened to my parents (who are getting on in age), all of those boxes of photos, documents, photo albums,, etc., would go to my younger brother, as he still lives in the US and is my parent’s favorite child. And of course my brother doesn’t give a damn about all that stuff, so he would probably just throw it out, which is a shame because of course it can never be recovered. I know for certain that it was Win 10 that had deleted/encrypted/corrupted/jumbled/re-cropped/re-sized my photos and documents, because prior to upgrading, I had been working on my genealogy and was routinely accessing these photos, documents, etc., and there was no problem with them before. This was also confirmed by an extremely qualified local computer consultant (who has over 30 years experience in IT and has been Microsoft Certified for years), I had to call him in because my laptop kept freezing up, and even after spending days and HOURS on the phone with the so-called MS Support Team, they were unable to figure out what was wrong. I had originally called MS because of the encrypted documents (which they couldn’t figure out), and then I called MS because Win 10 Updates were failing to download (which they couldn’t figure out), and then I called MS when my computer was freezing up (which they couldn’t figure out). My local tech guy was brilliant, he actually comes to you (which was important for me because I am disabled), and he even gave me a discount because I was disabled, and he is on call almost 24/7, he came to me on a Friday night! He said that my laptop was probably freezing up because it didn’t have enough RAM, and he was also concerned about my hard drive, and he said that it was possible that I had a virus or other malware that had encrypted/deleted/ruined/jumbled my photos and documents. I seriously doubted that I had a virus or malware, as I have Trend Micro and it always warns you when you try to open a dodgy website and it blocks it, plus I use Ad Blockers, so I know I’ve never clicked on any dodgy ad, and of course I know to never click on the links in dodgy e-mails, and I never do any of those Facebook or other online quizzes/tests/games, etc. He then took my laptop back to his workshop, ran every possible test on my laptop, including dozens of different tests to detect virus/malware, tested my hard drive, and he added more RAM. Other than the RAM problem, everything was fine. He REALLY believed me that Win 10 was the problem when I showed him what Win 10 had done with my scanned photos and my scanned documents when I showed him how they were displayed in the new Win 10 Photo Gallery (or whatever it’s called), as not only do they show as corrupted/jumbled/re-cropped/re-sized, but in addition to all that, when you view them in the Win 10 Photo Gallery, Win 10 gave my photo folders absolutely impossible dates, like “January 2050,” or “December 2253,” and then randomly put photos from various times into these completely unreal folders! Now, the only way I can know for certain when a photo is likely to be from is to go in to my original “This PC” folder, and look through all the Pictures folders there, to try and determine the date they were from, as at least Win 10 had not changed those original folders. Besides all that, Win 10 deleted a bunch of my programs that were on my laptop, apparently Win 10 decided that they were not needed (thanks for asking me, Win 10! ), some of these were programs I had paid for and some were included with my laptop when I bought it. Win 10 apparently didn’t like those programs (like my photo programs, my laptop utilities like my built-in webcam, my built-in microphone, my printer, my DVD/CD-RW, etc.). I can’t re-install most of them, because they are so old, there are no drivers available, and so M$ wants me to use THEIR drivers instead. Win 10 also replaced my custom Wallpaper (again without asking me, thanks Win 10! ), luckily I had it saved as a JPEG, but when I went to re-install it, apparently Win 10 didn’t like how it fit, so I had to set it to “Fill,” which distorts it completely. It’s just been a nightmare. And last week, when I went to go change some of my Settings on Win 10, I found out that I am no longer able to change them, as I get a red-letter warning saying something like “Some settings are controlled by your organization,” and those settings are greyed-out. I don’t HAVE an “organization,” I’m the only user of my laptop, I use it at home, and I’m the effing Administrator of my account! That’s actually how I came across your page, I was looking for an answer on how to fix this problem. My last Win 10 update was in mid-June, I’m guessing that’s what caused the problem, I’m not sure. Also, because I was on Win 7, I never had to have a Microsoft Account, I just sign in with a password. I still don’t have a Microsoft Account, so are they penalizing me for that?! Also, in Settings, it now shows me as a Local Account and an Administrator, before it only showed me as an Administrator. Win 10 still won’t update properly, I’m missing a bunch of updates, and when you go to the official MS Win 10 Updates Release page, it doesn’t even list a third of the updates that were actually installed on my laptop by Win 10. WTF, MS?! And because some of those updates I am missing were security patches, bug fixes, etc., I don’t have them, and I’ll be d***** if I call the M$ Support Team again for any of this, as they are effing useless. I’m actually sorta glad that Win 10 hasn’t updated, with each update I had to try to figure out and see what they had changed or effed up. I’ve read that since the Anniversary Build came out, there are things that you can’t disable or change at all (Cortana, etc. ), and after M$ issued it, you only had 10 days to roll-back, not 30 like before. Also, due to my cognitive impairments, there is absolutely no way that I am able to do a Registry Edit to try and fix what may or may not be an Administrator issue (I think it’s a Win 10 bug), as I know I will just eff up my laptop even more, and due to my cognitive impairments it’s not like I have the knowledge that I did before, so I don’t even remember what half the terms mean, and unless it’s spelled out in plain, simple, step-by-step English, I just don’t get it. Long gone are the days when I could tweak my PC on my own, sorry. Also, when you pull up the things you’re trying to tweak on Win 10, it covers up the instructions on the website, and Win 10 doesn’t give you the option of re-sizing/minimizing some things like Win 7 did. I suppose I’ll have to call my Tech guy out again, and see if he can do anything about it. I doubt I’ll ever figure out how to use Win 10 properly, it’s been a particular problem with getting photos and documents on to Ancestry and other sites, a lot of them use drag-and-drop, and since Win 10, this has been a particular problem for me, as I have no idea how to work that stupid new Win 10 Photo Gallery, as far as I know there is no way to drag-and-drop from there, so I have to go manually in to my original “This PC,” look for the picture I want, and drag-and-drop it from there. Every new upgrade to Win 10 brings some new problem. I miss Win 7. I have no idea what I’ll do when this laptop goes, I know everyone suggests Linux, but I don’t have a clue about that. Heck, even my smartphone is smarter than me at this stage in my life. My husband also tried the Win 10 free upgrade, decided he hated it, and he rolled-back to Win 7. Of course he was smart enough to have a back-up, but he rarely keeps anything important on his laptop anyway, he either has it on CD or USB. The only thing that Win 10 removed from his laptop was Trend Micro, he was using an older version than I was (I guess Win 10 didn’t like that) so he just re-installed the newer version using our license key. But of course now he has problems on Win 7, because he can’t update to the latest browsers, it seems that the browsers only let you update so far unless you’re on Win 10, he can’t do a lot of things like online banking, and now he’s having trouble watching some videos/GIFs, as it seems that they’re designed with Win 10 in mind. Sorry for the long rant, I suppose I should just go live in a cave. Most days I feel like Lestat when he was in his “hibernating” years. So anyway, that’s my experience with Win 10, I know the free-upgrade period is over, but I just thought I’d share my experience, for anyone who is searching for info about Win 10 in the future. I was never really happy with a OS until I bought a PC with Windows 7. I tried 8 and like to pull my damn hair out working with that useless (P)OS. A huge problem with 8 was it looks like it was designed to work with touch screens and many of us just are not using touch screens. Been in the computer user scene a couple years longer than you. My first PC was the Vic 20….that did not impress me for very long when I learned that the first program I wanted to write was larger than what it could handle so I got a C-64 pretty soon after than. That kept me busy learning coding for a while. XP was OK. Just OK. Windows Vista was a clean pool someone had peed in……you could still swim in it but occasionally something funny smelling would cross your path. 7 was the breath of fresh air I’d been looking for my entire life. It just works. To be honest, I’d switch to Linux if I could find a note taking program that worked like OneNote….and don’t tell me there is one because there is NOT…I have tried EVERY single one I can find and none of them work the way I work…..that and my work software does not work on Linux either. I have not updated to 10 because it is not compatible with my work software and I do not want a OS that I cannot control the updates completely as I cannot afford to have an update break any of my custom software solutions I have carefully collected over the past 15 years. I am not adverse to change but to be honest I don’t NEED a change in my home computer at the moment. I’m also at that point in my life that I really don’t want to waste the time learning a new OS when the one I have does everything I need it to do and does it each and every time I turn my computer on. I really don’t need the updates for 7 anymore, cut them off the last time one broke my work software and have not missed them at all. I don’t go places where you are most likely to get malware or viruses and I have ads and trackers and all that nonsense blocked to improve my web experience as well as protect me from some of the more obvious attack vectors that are being used now. I will buy a separate machine for gaming when and if I find a game that absolutely has to have DX12. I have my eye on one but I’m going to wait until all the updates are out for it and I can buy it in one package rather than this let them eat…and pay for updates concept that gaming has evolved into during the past 8 years. On the other hand, I change phones quite rapidly compared to many people. I’ve had apple’s, nearly every version of android, and windows phones as well. As of now, I’ll stick with Android. They are cheaper and to be honest, all I use them for is gaming, reading, gps, and making the occasional phone call through google hangouts and the very rare call through my cell network. I’ll try 10 when its about 4-5 years old. It will likely be somewhat usable than and there should be a good infrastructure of apps or what we used to call programs available by that time. I’m talking about shareware and little unique utilities, and most important…freeware solutions that are good enough to even better than the commercial solutions people pay out the arse for. As well as gaming, I will likely get a Win 10 machine to explore VR with in the next year or so. I intend to purchase the Vive or something with a higher resolution in that time period. Probably could do it with 7 but many of the things coming out will probably run better on a native 10- machine. It is my opinion that many of the problems with 10 that a lot of people are having are because of software and hardware incompatibilities. I know people who have bought or built new machines and they are happy. I know NO ONE who upgraded their old machine and who are happy with the upgrade. I’ve said my piece (peace) and I’m out of here to do something real. I did a Windows 10 upgrade and the anniversary update on my HP desktop from Windows 7 because the compatibility assistant said it was ok to do so. Now the iCloud applet that syncs my iDevices to Outlook and IE won’t update to a newer more secure version. Apple says it is a Windows issue, so I went to the MS Answer Desk. A week later, having moved very slowly up the food chain from tier 1 to tier 2 to tier 3, I’m now told that a certain media file pack needed for the iCloud applet update can’t be installed on my version of Windows 10 because the desktop is running on Windows 8 drivers in compatibility mode! And HP won’t write new drivers for Windows 10. Basically, I’m SOL. I heard of introducing advertisements in Windows 10 . Wait a minute ….. I never imagine that one day, an operating system will have advertisements !!! I have dell inspiron 3537, it came with Windows 8. After some some I upgraded it to Windows 8.1. Until that it has no problem. Now it has Windows 10 and due to some electrical surge, its charging circuit fried up and i have to get it repaired. After repairing, windows 10 is showing error for activation something like digital signature. My question is “can i restore my laptop to windows 8 or 8.1?